Guy Ransom, commercial director of Finn Geotherm, explains the features and benefits of district heating heat pump schemes. Heat pump systems as a means of delivering heat and hot water for buildings are not a new concept. 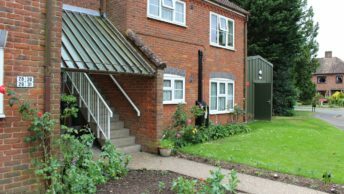 The first large scale heat pump was installed in Norwich in 1945. More than 70 years on however, we are still not even close to reaping the potential of this superb technology. A heat pump is basically a fridge in reverse. It takes latent background heat, from the earth or the air and, using a combination of refrigeration circuits, pumps and compressors, multiplies that heat to a level usable within domestic or commercial heating circuits. Depending upon the flow temperature set, the system can be expected to deliver 3 – 4 kW of heat for each kW of electricity input. This allows a heat pump to use less energy, be cheaper to run and to create far less CO2 than a conventional heating system. As an illustration, heat pumps can reduce heating costs by 75%, compared to electric storage heaters. District heating or a communal heat network refers to heating provision for a number of properties from one central heat pump system. Heat pumps are modular so district heating schemes can be designed to heat any number of properties of all sizes, from flats to detached houses. Schemes can be retrofitted to existing properties or installed in new builds. A good heat pump installer will recommend the optimum number of properties per heat pump to deliver maximum efficiency through the heating circuit to each house. This could be as few as 10 homes or as many as 150 per system. Heat pump systems can also run in tandem in multiple bases and plant rooms to provide heating and how water for an almost limitless number of homes under one district heating scheme. It is astounding to know that today just over 11% of the country’s households are in fuel poverty. The most recent annual fuel poverty statistics report from BEIS revealed that there were an estimated 2.55 million fuel poor households in England in 2016 – a 0.1% increase from the previous year. Electric storage heaters form a large proportion of the heating provision in social housing and they still continue to be installed as standard despite their unsuitability. These heaters are not only ineffective, but they are also very costly to run. By replacing individual heaters such as these with one district heating system, housing associations can dramatically reduce heating costs for their tenants – often by as much as two-thirds – and deliver homes which are warm and enjoyable to live in. 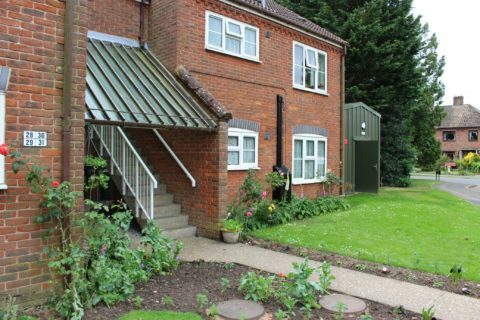 It’s true that an adequately or well heated property will deliver additional benefits for the homeowner too such as improved health through a reduction in damp and better air quality, as well as keeping the buildings and their contents in better condition. 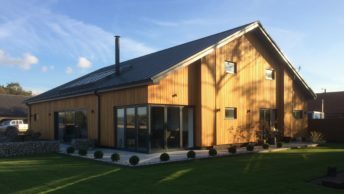 When designed correctly, a heat pump can result in significant financial and logistical advantages to users, particularly for district heating schemes. The relatively low running costs of heat pumps enable housing providers to charge less for the delivery of heat, while still making a profit on heat generation. The choice of how the benefit is split can be left to individual providers, but typically a 50% reduction in billing would still result in 60% profit against electric storage heaters. Savings to tenants can also be offered when comparing to an oil boiler, although they are less than with electric storage heaters. District heating schemes qualify for the Government’s non-domestic Renewable Heat Incentive (RHI). Payable for 20 years, this can result in quarterly payments to the heat pump owner (ie, a housing association) which are twice the electrical cost of running the heat pump. 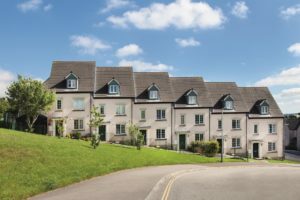 With this incentive, a scheme will typically payback in around 10 years, enabling the benefits of the system to be gained with an effective capital cost of less than zero – and still leaving another decade of payments to be made to the housing association. The RHI is set to be in place until April 2021 so it is advisable to ensure any new district heating installations are locked into scheme before this date to ensure they qualify and will deliver the quarterly payments for 20 years. Gas and oil-fired boilers typically have a lifespan of around 10 years. A heat pump is normally three times this so by installing a district heating scheme, housing providers can be sure of heating which will last some 30 years+, rather than an ongoing 10 year cycle of boiler replacements. Significant benefits also exist for the maintenance of district heating schemes versus individual heating systems. As the heat pump equipment is all located within a central plant room, there is no need to gain access to individual tenant properties for servicing. Maintenance is also very straightforward as, being a non-combustion based system, scheduled servicing is more a matter of checking everything continues to perform as expected, rather than cleaning or replacing components. Leading heat pump systems can be linked to the internet so monitoring and adjustment can often be carried out remotely, further reducing costs and the probability of system breakdown. Any potential issues can be picked up before they become problems. In addition, with at least two heat pumps providing the load for any one district heating system, when servicing is required the load is simply switched from one heat pump to another, without having any impact at all on tenants. Heat pumps are highly beneficial from an environmental perspective. There is ongoing pressure for all businesses and organisations to reduce carbon emissions. A heat pump will not only reduce operational costs by three quarters, but it will also reduce carbon emissions by the same amount. The Government’s latest insulation regime, which has been designed to help reduce emissions by reducing heat loss can only have a limited impact. 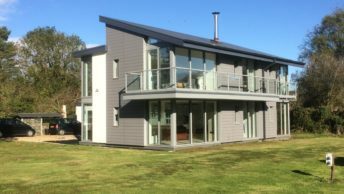 Additional insulation and cladding can only save up to around 50% in the best possible cases. However, if we examine the system actually producing the heat and therefore the emissions instead, there is so much more potential to make a real difference. By replacing electric or gas heating with a heat pump, energy consumption can be reduced by around 75%, meaning that emissions are also reduced at the same rate. In addition, schemes to provide insulation do not deliver any additional benefit to the property owner, whereas the RHI does – and will do so for 20 years. The latest report from the Committee on Climate Change (CCC) on UK housing has once again provided a stark reminder that the country is not on target to meet the required reduction in carbon emissions. 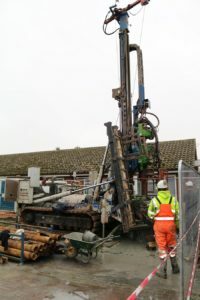 As part of its recommendations, the CCC is suggests that no new homes are connected to the gas grid from 2025 at the latest. Heat pumps are recommended to be used within both new builds and retrofitted to existing properties as part of the priorities we need to act on as a nation. Installing district heating is an investment. 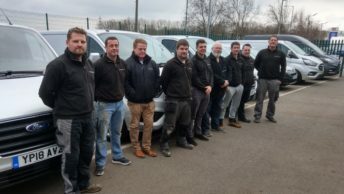 It is more costly than replacing old storage heaters and boilers for new – but it is an investment which pays many dividends. The RHI payments and payback periods are all direct financial benefits, not to mention the carbon emission reductions and improved green credentials. In addition, there are huge benefits for the tenants themselves including affordability and cutting fuel poverty, as well as comfort and enjoyment of their homes. It is an investment in the future. While it is still a relatively new approach to heating in this country, district heating has been used across Europe and beyond for many, many years. 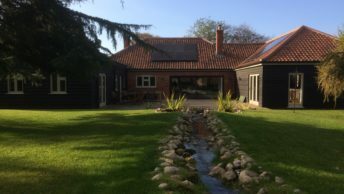 However, it is positive to see housing associations such as Flagship Group in Norfolk adopting district heating and already reaping the numerous benefits, with roll out of further schemes built into its organisational strategy. We will continue to champion the cause for district heating to be considered for all new build social housing.